In 2015 my wife Jameson Clover ran the Mt Hood 50 as her first 50 mile race. Being around 150 on the wait list, there was uncertainty surrounding whether she would get the opportunity, but two weeks prior to the date, she received the email inviting her to run. And thank goodness that happened, because up until race day in 2015 I was positive I would never run further than a marathon. Positive. Then I experienced one of the best race weekends I have yet to encounter. Beautiful location, with plenty of nearby camping, a vibrant community of runners, and volunteers who seemed to accomplish at least a dozen things all at the same time. In the midst of all this were two people I had yet to really meet, Todd and Renee, the race directors for Go Beyond Racing which has been putting on the Mt Hood 50 for a while now. 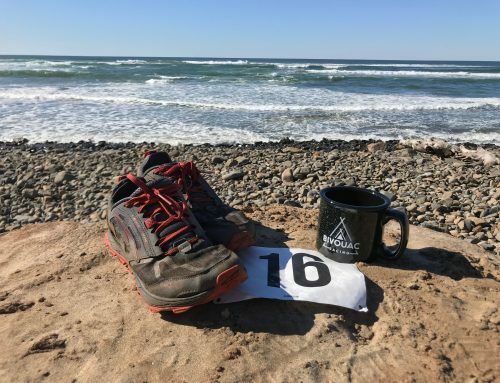 While I had only been to one other trail race at the time, I could sense that there was something special about what they were working to achieve at this race. 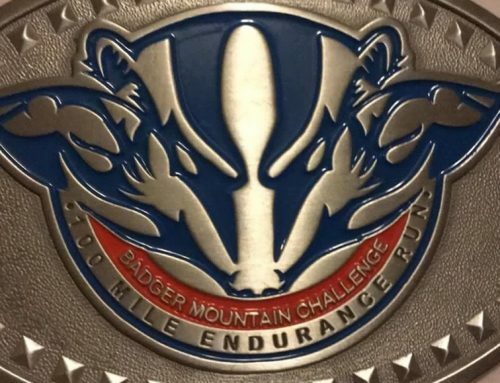 In retrospect, it is clear to me that Todd and Renee care deeply about the trail running community, and feel strongly about making sure everyone who runs a Go Beyond race feels taken care of, cheered on, and welcomed no matter where you are in the pack. 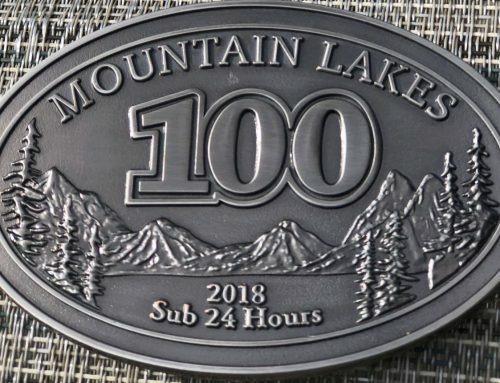 As I have run and crewed more races since 2015, I have met other race directors who truly make all their runners a priority, but the experiences from the 2015 Mt Hood 50 race have stuck with me. And so, it was here in 2015 that the spark was lit for my entry into the world of ultra running. Three years later, after a short stint on the wait list, I too was officially in the 2018 Mt Hood 50. I had been training as if I would be running it, since everyone, including Todd and Renee, assured me that, at 18th on the waitlist, I was pretty much guaranteed a spot. So I pulled out Krissy Moehl’s training book, looked over her first 50 mile training plan, and entered the total miles for each training week. Once that was completed, the only set runs on my schedule were my two run commutes of about 8.5 miles, and a weekly 5 mile lunch run. Everything else was mostly just looking at the weekly total and dividing it out over Saturday and Sunday. Throw in two to three days per week of strength training, and there you have my training schedule. When race day came on July 14th, 2018, I was ready. The forecast for race day was predicted to be a high of 82 and around the mid-50s for the start at 6 am. 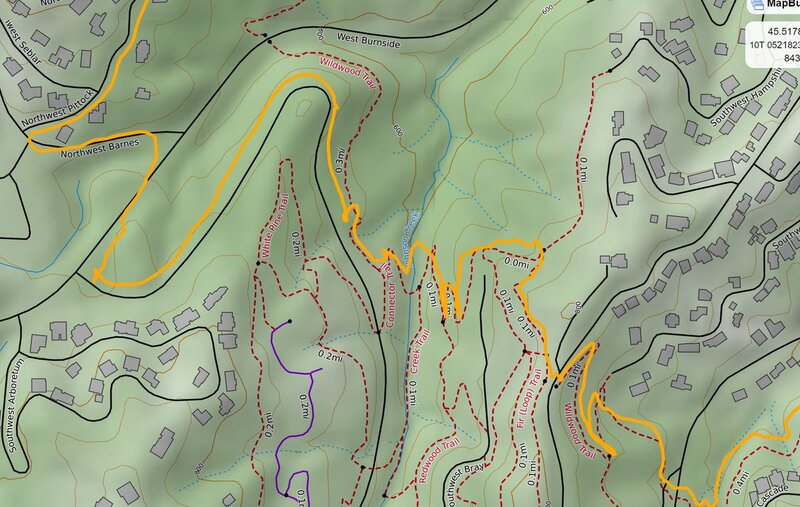 Having run the 50k in 2017 and scouted the back half of the 50 mile course a few weeks before, I knew the course fairly well, where the more exposed areas were, and where there was a cold creek to lay down in. That said, I also planned to have ice in my hydration bladder, Tailwind in my handheld, and ice in my Territory Run Co bandana for the back of my neck. I hoped with all of that, plus the cold sponge baths at the various aid stations, it would be enough to keep me cool. On the whole, I believe that strategy worked, although at the start/finish aid at mile 28.4 Bonnie Collins gave me additional cooling advice she had learned from Badwater: ice in a buff around the wrists. As the start time approached, Jameson and I walked to the start, about a 15-minute walk from our campsite at Clackamas Lake Campground. I had slept well the night before, mostly thanks to some sleepy time CBD, but the nerves were starting to creep in. After checking in, Jameson pinned my bib on while I chatted with Shane Kroth. Receiving words of encouragement from him, as well as Jen Love, Shane Darden, and Rob Hamrick helped to calm my nerves some. With some final words from the love of my life, and with Todd and Renee giving the pre-start it was time to get it together. I moved into the pack of fellow runners, turned my watch on, and got ready to press start. The countdown occurred, runners surged forward, I pressed start, and began running my first 50 mile race! 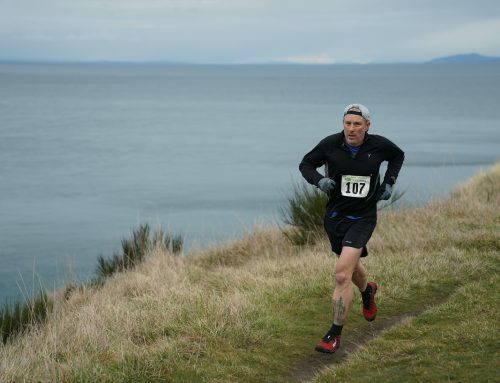 Since most of the front half of the 50 mile race is on the 50k course, I knew it well and ran with ease. I chatted with a few fellow runners along the way, one from Canada, and another from Seattle. I am not much of a talker when I run, but it felt easy to do so and I thought it was a good sign. When I hit the Little Crater Lake AS, at mile 6, I just kept moving knowing I would be hitting it on the way back. I kept moving forward and must have been doing well as other runners used me as their pacer. Hitting FS 58 AS at mile 9.2 in 1 hour and 36 minutes felt amazing, but my goal time had been 1 hour and 51 minutes. With the advice to not go out too hard on this very runnable section starting to echo in my head, I greeted the enthusiastic cheers with tentative excitement. So freakin’ encouraging! I did not need anything there and so kept moving. Between FS 58 AS and the Frog Lake AS, at mile 14.2, you begin to see the returning runners (the course is two out & backs)…wait was that first place? He didn’t even look like he was trying. 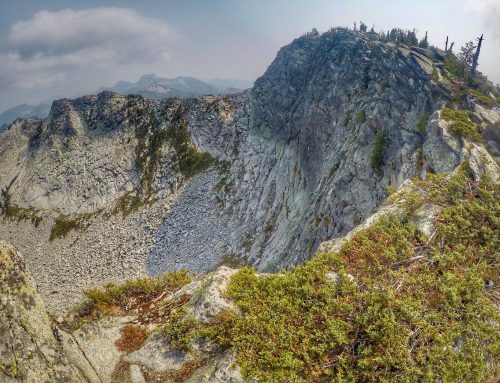 I looked forward to exchanging words of encouragement with friends on the trail plus this is the section where the iconic Mt Hood 50 photo is taken (thank you, Paul). All of that made this section a blast to run. When I hit Frog Lake, I paused, considered getting ice, and then made my first miscalculation of the race. I left without eating, drinking, or getting ice mostly because I wanted to shake the person who had been using me as a pacer. It didn’t help that I had not been able to slow my pace down and had hit Frog Lake early. Now, I had plenty of food in my pack, as well as water, but in retrospect had I started eating something solid earlier on I might have been able to mitigate things that happened between mile 28 and 32. That said, at the time I felt great, so off I went heading back to FS 58 AS. At this point, I slowed my pace. Then the heat started rising, and I began to realize that my first inclination to get ice at Frog Lake had been correct. Nothing to do about it at this point, so I focused on the task at hand as FS 58 AS would be along soon enough, and along with that would be more ice everywhere, a cool sponge bath, a Tailwind refill, and the enthusiasm of my crew. Time started to lengthen during this point, but thanks to the finicky GPS of my Garmin Fenix, the mileage on my watch had started to shorten. Thus it was that I arrived at FS 58 “sooner” than the expected mileage! I was also ahead of schedule…darn it. The aid station visit was amazing (I didn’t fall this time!). My crew refilled the ice in my bladder, more Tailwind, and ice in my Territory Run Co banana, while I did a little calf stretch. Once everything was set, I thanked everyone there and was off to Little Crater Lake AS. Overall I was feeling much better at this point in time than I had last year during the 50k. I was able to run most of the section between FS 58, at mile 19.2 and Little Crater Lake, at mile 22.4. I felt good, the ice was working, and I kept fueling with my Honeystinger gels, two salt tabs every hour, followed by a gin gin. When I hit Little Crater, I was ready for more ice in the bandana. Awesome energy from Yassine, Robbie, Rachel and the rest of the crew there! So appreciated that. Yet here again I was so focused on staying cool and moving quickly through aid stations that I did not grab any solid food. I was off with Robbie’s words “feed the good wolf” ringing in my ear. I could feel things slowly starting to peel away as I moved towards the Start/Finish AS and the last time I would get to see my crew. I attempted to eat some trail butter, but it did not sit right. That should have been another sign that things were starting to move sideways, but I thought I felt ok, and while the time continued to lengthen, the mileage continued to move along. So I kept drinking Tailwind, ate another Honeystinger, and kept moving forward. I knew that I needed to switch up what I was eating, but I comforted myself with the fact that I was at least peeing at fairly regular intervals, a situation that would continue for the rest of race amazingly enough. Finally, I made it to the Start/Finish AS where my crew awaited I passed off my hydration pack and headed to the cold sponge bath area. Core temperature reduced, I walked back over to my crew and almost immediately felt ill. The low point of the race had arrived. I could feel a little panic start to kick in as my nausea came at me and threatened to push me over the edge. Luckily, I had people around with experience and drank some ginger ale. Then I ate some chips, some watermelon and that was it, the magic combo had been hit upon. With everything refilled and ice on my wrist, I was ready to head out. I remember being told to walk when needed to let the stomach settle, and with that, I moved out of the Start/Finish AS feeling horrible but mostly determined. The moments between the Start/Finish AS, at mile 28.4, and Red Wolf, at mile 33.7, were a battle of wills, brief bouts of panic, and finally the realization that I was starting to feel ok. Sure, my goal time of 10 hours was shot to hell at this point, but I was still moving forward It was with that spark of confidence that I arrived at Red Wolf where the mood was jovial efficiency. I ate chips, lots of watermelon, drank ginger ale and coke, and wait…Jordan? We exchanged some words, and while I knew he was down, I also knew he was in good hands, and never doubted that he would be able to finish. With a brief cool down I was off to the turnaround. I had run the longest I had ever run! That was a continued thought from here on out. The promise of otter pops, a cold creek to lay in, and a very runnable downhill kept me moving forward. Sure I would have to climb back up that downhill, but then it was basically downhill to the finish, and I was fairly certain at this point that I would finish. I arrived at the Warm Springs Creek. That was nice and cold, which was fantastic as my ice was definitely melting at a faster rate. After that, it was a short gradual climb to the Warm Springs AS and otter pops!. After thanking the crew there I started back with my eyes on finishing. Remembering Shane Darden’s words regarding passing people after laying in the creek on the way back, that is just what I did. Then what do you know, I did actually pass a few people!. The way back to Red Wolf was not easy, but it was methodical, a good mixture of power hiking and running. Not only that, but Red Wolf came much sooner than expected, with a voice coming across the break in the trees “Welcome! We’ve been waiting for you!”. Fully energized now, I went through my routine, departing Red Wolf relatively quickly with a huge amount of gratitude. I focused on one runner that was a little ways ahead of me and made passing him my goal. While that certainly took longer than expected, I finally caught up with him and then passed him with about 3 miles to go. Then everything switched to, “you have to run to get sub 12 hours”. Run, not walk. Did my feet hurt? Of course. But my stomach was amazingly fine, and my legs kept churning, kept running, and soon I was almost to the bit of road that signalled the finish was near. Rob shouted “there is no hill!” with regard to the incline up to the road, and I shouted with him running up that thing. Running! And then it happened. I turned, crossed FS 42, and started to push myself to run faster. There was the clock, a sub 12 was assured. Moving faster…legs get me to the finish line! Finally, with a high five from Todd and a hug from Renee, I had finished my first 50 mile race! Jameson was there hugging me and helping to orient my tired brain and body. Todd offered to put a beverage in my finishers glass…so many friends were there offering congrats. It was everything I had hoped for. I was surrounded by an amazing community of people, and I was overflowing with joy at my accomplishment…as well as being finished, and immense gratitude to every single person who had helped me get this done. I am still grateful and hope I can do the same for each of you. Sincerely. So awesome! Little do you know you were one of the primary reasons I was able to finish my first 50 in 2015. Inspiring. Can’t wait to hear which 100 you signed up for.